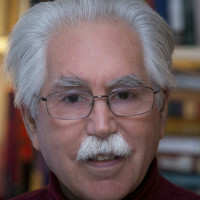 Tom Shachtman is the author of a sixteen non-fiction books for mainstream publishers. His latest is How The French Saved America. Earlier ones include Rumspringa: To Be or Not to Be Amish; Skyscraper Dreams; and Absolute Zero and the Conquest of Cold. He has also written nine books for children, and is the co-author of another dozen adult nonfiction books, and of documentaries seen on ABC, CBS, NBC, PBS, and BBC. He has lectured at New York University, Stanford, Georgia Tech, the New York Public Library, the Library of Congress, the Huntington Library, the Newberry Library, and the Smithsonian Institution.